For over two days now a sitting has been organized to analyze and look for proposed and solution to the political and military crisis that has been shaking Mali since March 2012. 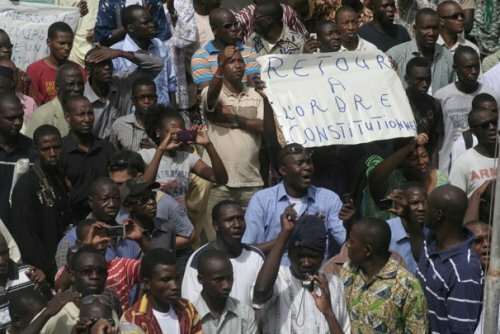 Created May 26, 2012 Coalition for Mali is a collective civil society organization, political groupings and independent personalities out to look for ways in solving the crisis in Mali. The NGO wants to allow the local elected officials, representatives of the various communities in northern Mali, Gao, Timbuktu, Kidal and Douentza to express their opinion, talk about their experiences on a daily basis and make proposals to end the crisis in the country. During these meetings, dialogue on the role and place of religion in Mali was a prominent place in the discussions. Participants will also examine the issue of the central government while addressing the fate of the populations and communities in a post-crisis in Mali. According to Tiébilen Dramé, vice president of Coalition for Mali, we must take into account the will and voice of the people of Mali, essentially to the resolution of the crisis and it should be a broad consensus to a shared vision. The President of the National Rebirth Party encourages dialogues of armed groups. According to him the time that separates them from any military action must be utilized to explore the possibilities and opportunities for dialogue with Malian armed groups regardless of their faiths.For Tiébilen Dramé, Mali needs more than ever national unity and gathering these entire sons from north to south through the East to the West to a union is essential to fight against the occupation and the reunification of their motherland. After discussion, a summary and recommendations will be made to provide testimonials, information, analysis and proposals to end the crisis.